Hurricane season has begun and the first Hurricane is now official. 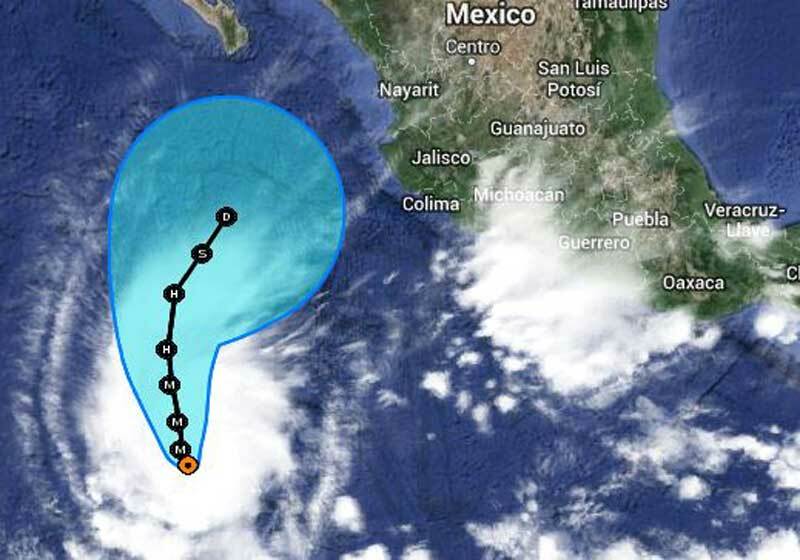 Hurricane Amanda has formed over a hundred miles from the western coast of mainland Mexico. Hurricane Amanda is now a category 4 which is the lowest strength storm but the National Hurricane Center is reporting that the storm is intensifying and may increase to a category 5 which is the highest number which can be given to a Hurricane. Amanda could possible become a very strong Hurricane and thankfully so far is no risk to Mexico. The Hurricane is heading North at 2 knots. At the moment Amanda also has maximum sustained winds of 155 mph but as it moves north is expected to decrease winds. The Eastern Pacific Hurricane season started on June 15th and Amanda is the very first to form. NOAA has predicted that there will be 14 to 20 Tropical Storms in the region and up to 11 of those could form into Hurricanes. The Atlantic season starts June 1st.